Formed in June 2009, The Parsons Affayre stemmed from the participation of some singers in the Tallis Scholars Summer School held in Sydney in January 2009. Through the guidance of Singer/Producer Francesca Urek they were inspired to create an intimate ensemble of 2 voices per part, and in December 2010 Magnificat: The Latin works of Robert Parsons was released, under the direction of Warren Trevelyan-Jones. 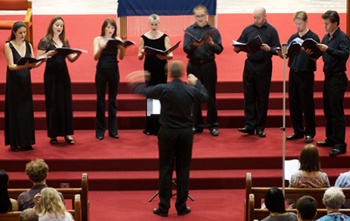 The group now has the reputation as being one of the finest vocal ensembles in Australia, drawing from some of the best choral singers in the country and continues to grow from strength to strength, attracting the attention of overseas media and Early music musicologists, who have suggested repertoire and generously provided unpublished performance editions. The Parsons Affayre has since featured on all the major classical music radio stations in Australia. In August 2010 the group featured in Early Music Today magazine. 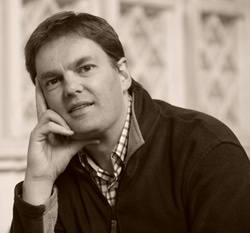 Warren Trevelyan-Jones began his singing career as a Choral Scholar and Lay Clerk in Exeter Cathedral Choir, graduating in music in 1988. In 1993, he qualified as a music therapist at Bristol University and became a Lay Clerk in Winchester Cathedral Choir, combining freelance singing with work in music therapy. In 1999 he was appointed Lay Vicar in the Choir of Westminster Abbey, London. In 2001 he co-founded the ensemble group Ensemble Plus Ultra with Michael Noone and has been fully involved with the administration and direction of the group in addition to contributing as a singer. In 2008, Warren was appointed Head of Music at St James’ Church, King Street, Sydney. With Peter Tregear, he co-founded The Consort of Melbourne and has directed them in a series of concerts at the Melbourne Recital Centre and for Musica Viva. Warren is also a regular member of many of the leading early music ensembles both in Britain and in Europe; including Vocalconsort Berlin, The Gabrieli Consort, Taverner Consort, Orchestra of theRenaissance, Dunedin Consort, Collegium Vocale of Ghent and La Chapelle Royale of Paris. He has also performed with The Sixteen and the Tallis Scholars. He has travelled extensively and appeared on over 60 CD recordings, and on many television and radio broadcasts, and in many of the worlds' leading music festivals and concert halls and in more than 30 countries. Warren has recently appeared as soloist with Melbourne Symphony Chorus in concerts in Melbourne and in Angel Place, Sydney. He is also a qualified music therapist and an experienced singing teacher, and has held posts at Winchester College and was the vocal coach to the Choristers and Choral Scholars of Portsmouth Cathedral in the UK. Receive information about our latest CD releases and concerts.